Bournemouth Borough Council: Earlier this week Pure Town Planning received a grant of planning permission for the conversion of a beautiful Edwardian building into five self-contained apartments in a prestigious location in Bournemouth’s West Cliff area. 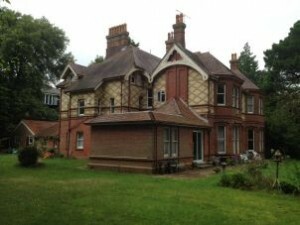 The existing use of the building was unclear as the property had been empty for some time, but after some thorough research Pure Town Planning managed to convince Bournemouth Borough Council that, contrary to popular belief, the lawful use of the site was not as a single dwelling but in fact as three flats and a large 5-bedroom HMO. This meant that we were able to successfully argue away the affordable housing contribution on viability grounds and also meant that the Section 106 contributions (Open Space, Heathlands and Transport) for the five new flats were very low. Matt Annen, Director of Pure Town Planning commented, “The approval was the result of a well thought out and executed planning application from start to finish… The time and effort spent on research of the existing use at the beginning of the process was fundamental to achieving a consent for five large flats with no affordable housing contribution. Through close contact with the appointed case officer and internal consultees including a meeting on site, the actual planning process ran very smoothly”. If you are wishing to get a development off the ground and are looking for a similar hassle free passage through the planning system to arrive at a successful planning consent, then why not give us a call, send us an email or even pop in and see us to find out how we can help you today.